Both teams shot under 40 per cent for the game. Boston hit just 36% (28 of 77) and had 20 turnovers. Indiana connected on 33% of its shots (28 of 84) and turned it over 13 times. 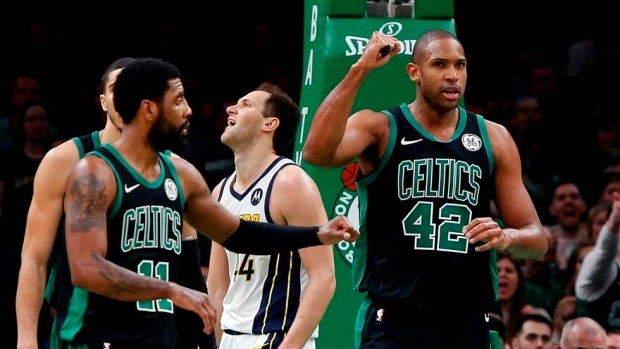 While his team was able to recover from a dismal start, Stevens said the Pacers' defence deserved credit for making things difficult on them throughout the game. In his first playoff game as a Celtic, Irving became just third player in franchise history to have 20-plus points, five-plus assists and five-plus rebounds in his post-season debut with the team. He joined Isaiah Thomas in 2015 and JoJo White in 1972.